Annual Spring Orientation & Board Meeting. Join us for a relaxing weekend of family-focused activities in Elkhart Lake, WI. Explore the many amenities the Osthoff Resort has to offer, including the Aspira spa, available cooking classes, dining, and ice skating. Nearby activities include shopping, sledding, snowshoeing, dog sledding, and bowling. Join us for firearms training, lunch, and networking! Watch for registration information. 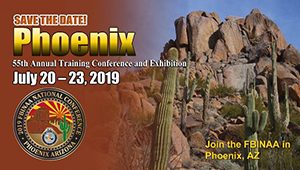 Various training topics, including the annual membership business meeting, election of officers, cookout, banquet and great networking opportunities! Includes 18 holes of golf with cart, beverage tickets, lunch during golf, dinner after golf, and a golfer's gift. Raffle prizes also available! Annual Fall Orientation & Board Meeting. Join us for firearms training on the range, cook-out, and networking! Annual Holiday Luncheon. Watch for registration form and more information. 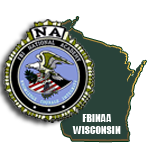 Each year, the Wisconsin Chapter of the FBI National Academy Associates sponsors various events for the enjoyment and enrichment of our membership. We encourage all active members to attend these events, as this helps to encourage and maintain membership, friendships, and networking opportunities. These events also include relevant training on varied topics. Below is a listing and brief description of our normally scheduled events. We do send emails notices/registration packets to our membership announcing each event, as well as listing each on this website. We hold a Winter Outing as a family event over a winter weekend. The location of this event normally changes every few years, so we get to experience different parts of the state. Attendees take in local events, experience fellowship at hospitality room get-togethers on Friday and Saturday night, and enjoy a nice dinner with the group on Saturday. We host a Spring Shoot (April) and a Fall Shoot (September) which includes live fire range time for those that wish to shoot, as well as classroom training on contemporary topics of interest. Each shoot also includes a lunch cookout. Each year (normally Wednesday-Friday following Memorial Day) we host our Annual Re-Trainer in Minocqua. This three day event includes networking, training, and our annual membership/business meeting and election. This event is for National Academy graduates only, no guests or family. Each year (normally August) we host a Golf Outing. Whether you are a pro or a hack, it’s a lot of fun and we raise money to support our charitable donations. Each year (December) we host a Holiday Luncheon in Delafield, at the Seven Seas Restaurant. This event is very well attended, you can bring qualified guests, and we strive to have a unique and interesting guest speaker for your enjoyment. This is a national program that is hosted each year at Quantico. The Wisconsin Chapter selects a student candidate who has successfully applied and is sponsored by a Chapter member in good standing, to represent the WI Chapter. Students must be 14-16 years old and meet specific criteria to apply. We normally send out this information to the Chapter members in January of each year. Application information can also be located on our web site. Each year the Wisconsin Chapter awards scholarship funds to children of Chapter members who apply and are selected. The information for the scholarship applications is normally sent out in January of each year. Application information can also be located on our web site. At the National level, each year a National FBINAA Conference is held. Conference information is normally posted on the National website: www.fbinaa.org. The conference is usually held in July and the locations change from year-to-year, depending on which state chapter is hosting the event. The Wisconsin Chapter hosted the 2008 National Conference in Milwaukee.